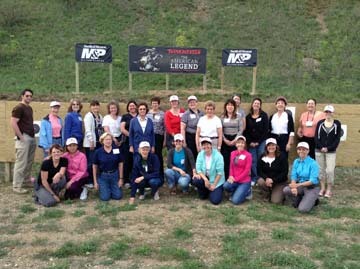 May 1, 2016 — John M. Buol Jr.
Hillsdale College is hosting their annual Ladies for Liberty seminar and shooting camp on June 5-9 2016. 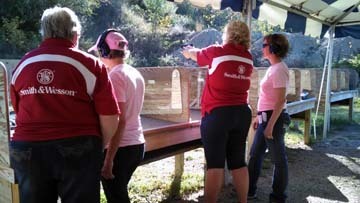 The camp teaches women of all experience levels shooting sports techniques and gun safety. Participants also attend lectures by Hillsdale College faculty members on topics related to the Constitution, including the Second Amendment. 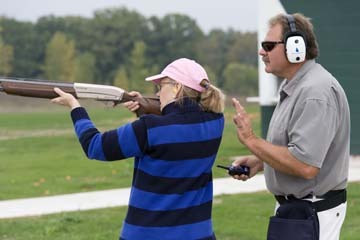 Ladies for Liberty is held at the Hillsdale College John A. Halter Shooting Sports Education Center, a 105-acre, state-of–the-art training facility five miles from main campus. An enrollment fee of $1,200 covers lodging, meals, lectures, and receptions at the Dow Conference Center on the Hillsdale College campus, as well as all lessons held at the Halter Shooting Sports Education Center. Winchester and Smith & Wesson are sponsors for this event. Shooters ages 21 and up are welcome. Light-recoiling handguns will be available and attendees may bring their own firearms upon approval by event staff in advance. Visit Hillsdale.edu/ladies-for-liberty or contact Bart Spieth (bspieth@hillsdale.edu) or Kim Gehrke (kgehrke@hillsdale.edu) for more information. Read more in the May 2016 issue.